The Virgin River carved the gorge known as Zion Narrows-it's 16 feet long, some 2,000 feet deep, and varies in width along the route. Zion National Park and the Narrows both sit high atop the Colorado Plateau, as do Arches, Canyonlands, and Capitol Reef National Parks in Utah and the Grand Canyon in Arizona. It takes the average hiker longer to hike the Narrows than expected. River hiking consumes more time than many anticipate and can take up to 60 percent of the journey. A permit is required for hikers making the trip down the Narrows or for camping. It you start at the bottom and go up, no permit is needed. Year-round, the Big Springs are a landmark for Zion Narrows hikers. The water tumbles down from the canyon wall about 10 feet from the ground. Zion National Park, located in Southern Utah, looks and feels like it's a million miles away from ordinary. Actually it's just outside Springdale, Utah, and it's a microcosm of life in the West with its desert, woodland, riparian and forest zones. People come to watch wildlife, soak up the scenery, and connect with the area's deep native American history. When expert hikers come to Zion, they're likely here to hike the Narrows, an amazing steep-walled canyon. While this is not a hike for everyone, those who are able and willing to make the trip will experience nature at its most dramatic. 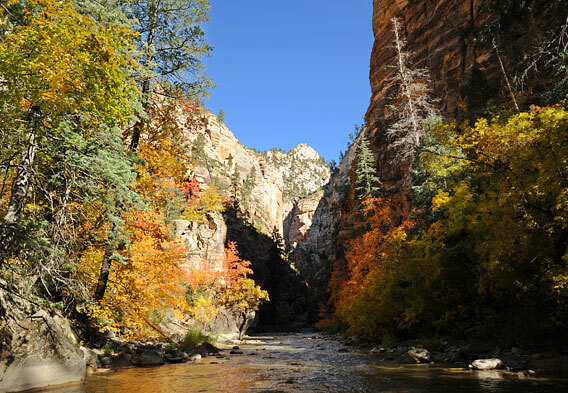 The Narrows, one small part of the park, is a 16-mile stretch of canyon carved out by the north fork of the Virgin River. Considered one of the best hikes on the Colorado Plateau-also home to the Grand Canyon-Zion Narrows is not your typical hike. In the old days, the park offered horseback adventures through the Narrows, but people have been traveling it mainly on foot since the practice was discontinued in the 1960s. Permits are required for most of the hikes and for camping, mainly due to the area's protected status. Groups up to 12 can hike together at one time, and hikers are expected to leave no trace. The trailhead begins at Chamberlin's Ranch, best navigated by four-wheel drive before setting off on foot. The trail ends at the Temple of Sinawava, a fixture in Zion Canyon. Shuttles take hikers to the Zion visitor center in Springdale. In between, the route travels through the slot canyon and crosses the Virgin River much of the way. Many hikers consider this a relaxed hike with a downhill slope, even if it's a long one and can be slippery at times. Conditions can change rapidly with the arriving rain. Speaking of wet conditions, this is not a hike where adventurers can expect to stay dry. Much of the hike, up to 60 percent of the trip, is through or across the Virgin River. Some swimming is required for short parts of the journey, making this hike different than the average route. 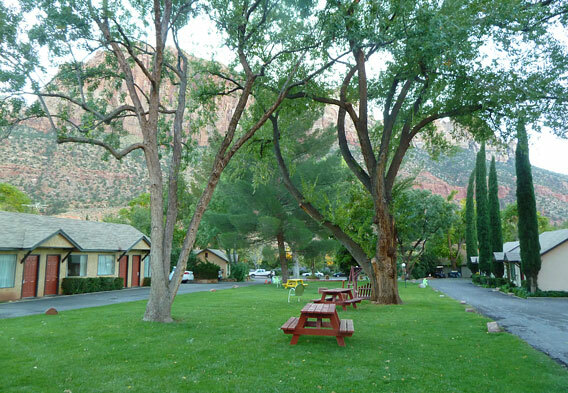 When it comes to overnight accommodations, Zion Narrows visitors have the choice between camping along the route or the lodging at the motels and cabin rentals nearby. A dozen campsites are located along the path of the Zion Narrows, some available to reserve in advance and others available by walk-up permit. Most of the campsites are small and can accommodate up to 12 people a night-and all are nestled amongst some amazing scenery. Outside of the park, a number of motels and cabin rentals are available to provide hospitality, a comfortable respite after the strenuous hike along the Narrows. The Grand Circle of national parks and monuments includes Zion National Park-and it's worth taking time to branch out from the Zion Narrows. The National Park Services runs shuttles to many of the nearby parking, helping to ease congestion and keep cars off these precious roads. Bryce National Park and the Grand Canyon are two of the most popular places connected by shuttle. Other nearby places include Pipe Springs and Cedar Breaks National Monuments and the cities of Cedar City, St. George and Kanab. A dominant feature of the Southern Utah landscape, Grand Staircase-Escalante National Monument covers 1.7 million acres. These vast acres are home to diverse topographies, a sample of Western landscapes people want to experience up close. 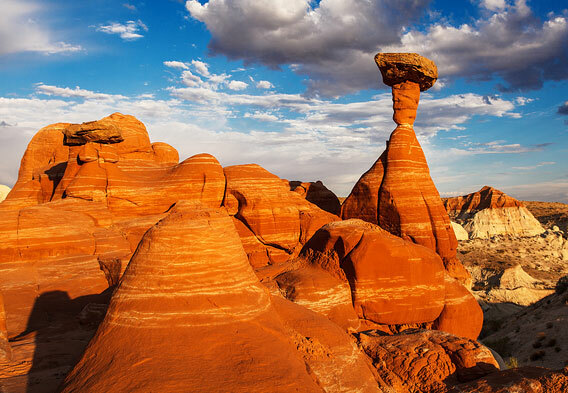 Loved by hikers as much as paleontologists, this national monument is divided into three sections-the Kaiparowits Plateau, Grand Staircase, and the Canyons of the Escalante. From the steep-walled canyons to the rushing Escalante River and the cottownwood forests, this scenic place is worth a visit. 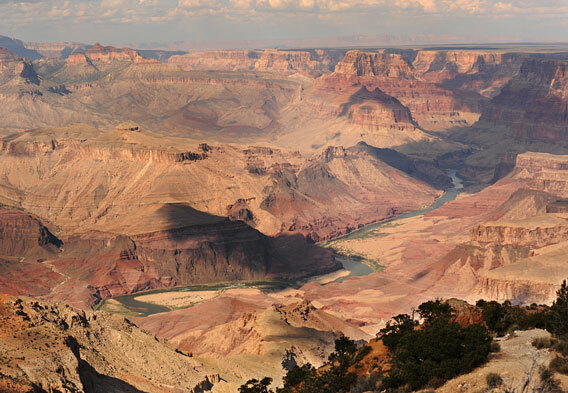 Another legend of the American West, the Grand Canyon was carved over time by the forces of wind, gravity, and the rushing Colorado River. 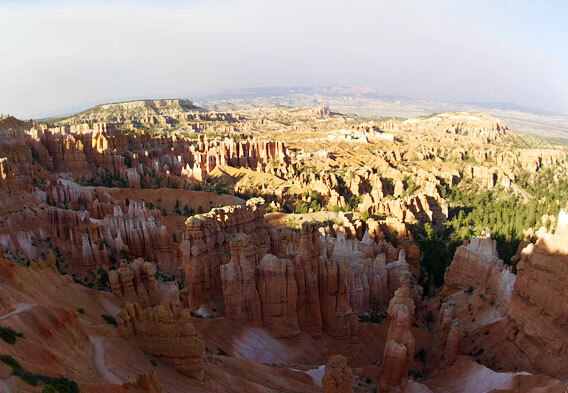 Many travelers combine a trip to Zion National Park with a stop at Bryce Canyon, and heading south to the Grand Canyon's North Rim. The scenic drive winds by Jacob Lake and the Kaibab National Forest before arriving in Arizona. The North Rim is the quieter side of the national park, visited by just 10 percent of the total. If you want to head to the South Rim of the Grand Canyon, plan to add another few hours of driving.